The Central Council of German Sinti and Roma is stunned by the speech of Livia Járóka, Vice-President of the European Parliament and Hungarian MEP of the Fidesz party in the Group of the European People’s Party. 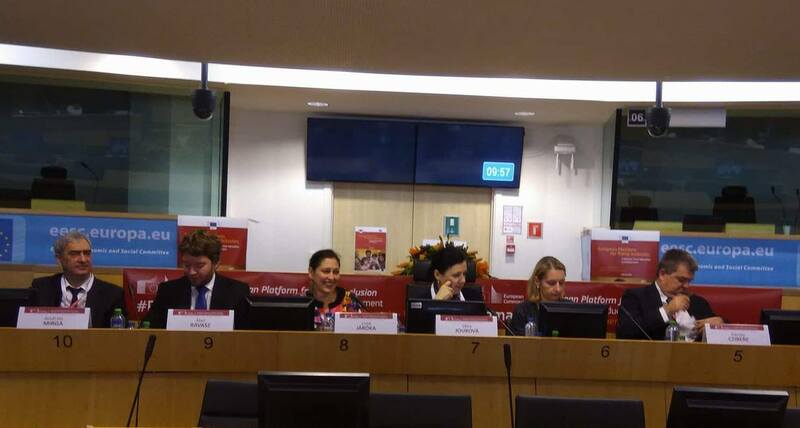 In her speech during the „European Roma Platform“ in Brussels on 28 November, Járóka downplayed the dangers of right-wing extremism and right-wing populism in Europe, according to Romani Rose, chairman of the Central Council. In her speech, Livia Járóka emphasized the alleged ‚positive intentions‘ of right-wing extremist parties towards Roma, after she had previously been elected Vice-President by these parties. In particular, she said that the right-wing extremist Hungarian party Jobbik has been pro-Roma and pro-Jewish for a few months now and that Jobbik would not be anti-Semitic anymore. The Central Council expressly condemns this scandalous trivialization and rehabilitation of an antigypsyist and anti-Semitic party, which contributes to hatred and violence, propagates völkisch-nationalistic ideas and thus threatens the social cohesion and safety of minorities. With such statements Járóka curries favour with the far-right and nationalist parties in the European Parliament. The chairman of the Central Council, Romani Rose, addresses Vice President Járóka in a personal letter urging her not to legitimize far-right parties as a part of mainstream society. „All democratic parties must draw a red line and sanction every form of antigypsyism, anti-Semitism and racism, in order to defend the rule of law against right-wing populists and right-wing extremists,“ stated Rose. Recent studies and documentations show that antigypsyism is not only to be found on the right edge of society, but also parties and representatives of the center often contribute to antigypsyist public discourses and thus legitimize and strengthen right-wing positions. Járóka was elected Vice-President of the European Parliament on 15 November 2017 by 290 votes. Járóka, who was a member of the European Parliament from 2004 to 2014 and re-entered the Parliament again in September 2017, publicly stresses her belonging to the Hungarian Roma minority. Swedish MEP Soraya Post (S&D), also a Roma politician, highlighted the dangers of right-wing extremism for Sinti and Roma as well as democracy in Europe during the European Roma Platform. She explained that Social Democrats, the Greens and the Left deliberately did not support the election of Járóka as Vice-President, as the Hungarian Fidesz party campaigned with fear and prejudice against refugees and violated European values ​​and the principle of solidarity. The Central Council expresses deep appreciation for the clear words of EU Commissioner for Justice, Consumers and Gender Equality, Ms Vera Jourova, who once again identified the fight against antigypsyism and racism as the core task of politics and society during the conference on Tuesday. 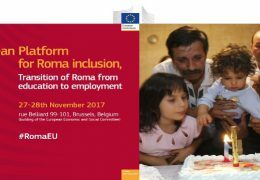 The annual conference „European Roma Platform“ of the European Commission creates a dialogue with EU Member States and civil society on the implementation of the „EU Framework for National Roma Integration Strategies“. The theme of this year’s conference was the transition from education to employment. In particular it addressed the structural segregation in education in many European countries, as well as the fight against antigypsyism and discrimination in education and employment. In recent years, the European Parliament has taken important steps to enforce the political recognition and sanctioning of antigypsyism. For example, the 2015 resolution set a milestone for the minority, as it called on EU member states to explicitly recognize the Holocaust against Sinti and Roma and antigypsyism as the root cause of the current situation. 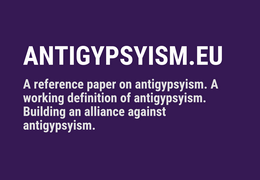 This year, the report on the fight against antigypsyism in the EU followed, examining the causes, mechanisms and effects of antigypsyism, as well as drafting strategic actions for governments and European institutions. 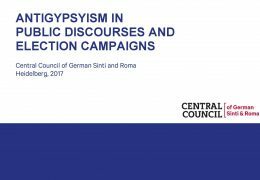 Not only the openly visible, but also the invisible mechanisms of antigypsyism are scrutinized, which still often determine the thinking and behaviour of political decision-makers and institutions.